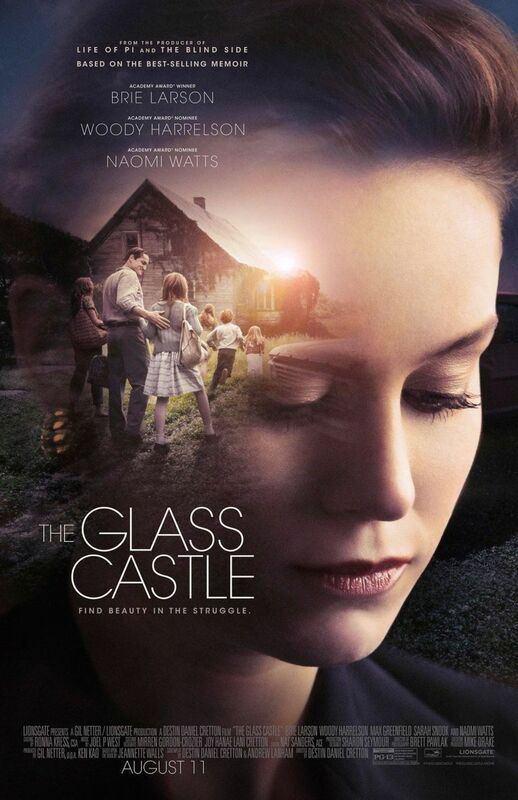 The Glass Castle Movie Poster. This month, the film adaptation of Jeanette Walls’ The Glass Castle finally hits theaters. The book, published in 2005, was a runaway bestseller that has sold more than 4 million copies. It was on The New York Times Bestseller List for a little over five years, and a film version should have hit screens shortly after the film rights sold in 2007. The project proved elusive, however; at one point Claire Danes was attached to star, later Jennifer Lawrence signed on to star and produce, but neither project made it to the finish line. Finally, Brie Larson took on the role, reuniting with her Short Term 12 director Destin Daniel Cretton for an adaptation also starring Naomi Watts and Woody Harrelson. And yet Walls’ memoir isn’t bitter, and her description of her father is often very affectionate, even as she spent a good deal of her adult years denying he existed even as Rex and Mary Rose lived near her in New York City, initially homeless, later as squatters. Walls has mused openly that despite the pain and suffering that drove her to leave home when she was 17 to put herself through college, she might have developed the self-reliance and whip-smart brainpower to become a successful writer because of the way she was raised, granting her book a complex tone that has captivated people since its appearance. After all, Rex Walls always tried to view their ramshackle, hardscrabble life as an “adventure,” and who didn’t have a few childhood moments wishing fervently that they might be carried off in the night and set off on an adventure? More than a decade after its initial publication, and with the new film version reminding us that it’s one of the most successful memoirs ever written, there are a few things you should know about this blockbuster book. The Glass Castle by Jeanette Walls. Although, as mentioned, Walls seems to have turned out fine and to have a certain amount of acceptance about her parents and her childhood, as a reader you’ll be disturbed over and over again. On the surface there’s the simple horror of raising children the way the Walls did; Rex Walls, despite being an engineer and electrician who had the charisma and people skills to land a nonstop series of jobs, was an alcoholic who stole from his children, sapped every dollar from the house, and often disappeared om binges. The family moves nearly thirty times in an effort to evade bill collectors, and yet Rex kept up the fiction that someday soon he would build the titular “glass castle,” a dream home whose plans he carried with him everywhere they went. Under the surface there are many details that hint at something much worse despite Walls’ calm tone. The mentions of sexual abuse imply strongly that Rex himself was a victim of molestation as a child, and at one point Rex had a, shall we say, casual attitude towards hinting that a teenage Jeanette will provide sexual favors to a man as part of a grift. When Rex is asked to stop drinking by his children in lieu of a birthday gift, he tied himself to a bed in order to dry out, which you can assume was in no way nightmarish for his children to witness. One of the great achievements of The Glass Castle is the way Walls uses simple, beautiful language to describe a childhood so terrible you should finish the book shaking with anger—but instead, you’re moved, and you don’t even hate her parents. That’s how good the writing is—but once you pause to think about what you’ve just read, the anger will come, so be ready for it. While Rex was a charming alcoholic who was the architect of much of the family’s misery, he is also depicted as a man who clearly loved his children, even if he was completed unqualified to raise them. Her mother, on the other hand, is a more complex figure. Alternately perceptive and apparently purposefully disinterested in everything around her, Rose Mary’s defining characteristic in the memoir is selfishness. At one point, when the children are starving, Rose Mary secreted a Hershey Bar for herself. If that doesn’t get you to hate her, her disinterest in stopping what she was doing to feed her daughter resulted in the terrible fire that burned Jeanette, giving her the scares she carries to this day. While Rex was irresponsible and harmful to his kids’ welfare, Rose Mary often comes off as the true villain of the book—which makes the apparently sympathetic portrayal Naomi Watts offers in the film a fascinating artistic choice. An argument can be made that Rose Mary suffers from an undiagnosed mental disorder, but the combination of neglect and jealousy towards her own children, her childish tantrums, and apparent disinterest in raising or even protecting her children can be tough to handle for anyone with their own parental issues to deal with. But the final nail that seals Rose Mary as the villain of Jeanette’s life story is the simple fact that she is revealed late in the book to own property in Texas—property valued at about $1 million—that she refuses to sell. One million dollars is available to the family and she refuses to sell it, even while her children are sleeping in cardboard boxes and living in a home without heat. It’s this detail—a devastating moment for the reader even as Walls herself reveals it almost casually—that dooms her mother to the villain role. Her father might not have been a better parent, but he had much less ammunition to work with when it came to mistreating his children. Walls was understandably angry with her parents for a long time; in her memoir she freely admits to knowing they were homeless and then squatting in New York City while she was earning a good living as a gossip columnist and writer. After the memoir was published, she moved out of New York, leaving her mother behind—still squatting. When the squat burned down, however, Walls took her mother in—an act that seems remarkable after you’ve read The Glass Castle and the revelations about Walls’ childhood held within. Walls said that she cried when she first saw Woody Harrelson in costume and makeup as her father on the set of the film—and that her mother hadn’t seen the film yet, because “It might be a little weird for her." One of the most remarkable aspects of Walls’ childhood is her ability to solve problems creatively—a necessary skill when your parents are both more or less useless in the role of, you know, parenting. But these moments can be horrifying, like when Jeanette, denied real dental care, fashions her own braces out of rubber bands and wire hangers, or when she nonchalantly dumpster dives at school when she notices that the other kids throw away their unwanted lunch food. The worst moment in their life story may be after Jeanette determined she needed to get away, and took a job to save up money—which Rex then promptly stole. Walls has only published one novel, 2013’s The Silver Star. But she wrote a second book about her family, Half Broke Horses, that examined the life of her maternal grandmother. It’s a quest to answer one of the burning questions you’ll have at the end of The Glass Castle: How? How did Mary Rose and Rex Walls come to be, come to think having a family was a good idea, come to believe that raising their children in the manner they did was a sound parenting decision? Walls goes back a generation looking for the roots of her family’s dysfunction, describing the book as an “oral history” with all the imperfect detail and half-remembered uncertainty that the term implies, but if you found The Glass Castle to be as infuriatingly fascinating as most people do, there are tantalizing clues in Half Broke Horses that clarify the events of Walls’ childhood while deepening the heartbreak. The sins of prior generations often don’t seem like sins at the time, but they’re handed down just the same. The Glass Castle is a remarkable document about a remarkable set of lives, one that ultimately ends with hope. 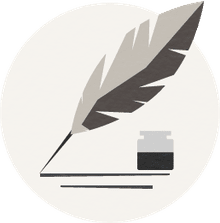 If Jeanette Walls can endure what she has and mature into a writer of skill and heart, then there’s hope for all of us—even those of us raised in conventional ways, without remarkable talents. If you’re planning to see the film version, read (or re-read) the book first. It’s brutal, but Walls’ skills as a writer make it all seem like a grand adventure—a talent she might have inherited from her father.